Isn’t camouflage amazing? While some species were born to be stars and will pull out all the stops to stand out (we’re looking at you, rainbow bee-eaters), others seek to blend in, trying to living out their days in relative peace. This bark moth (probably Scioglyptis or Syneora) is almost invisible on the trunk of a messmate stringybark (Eucalyptus obliqua) in the Lower Glenelg National Park. 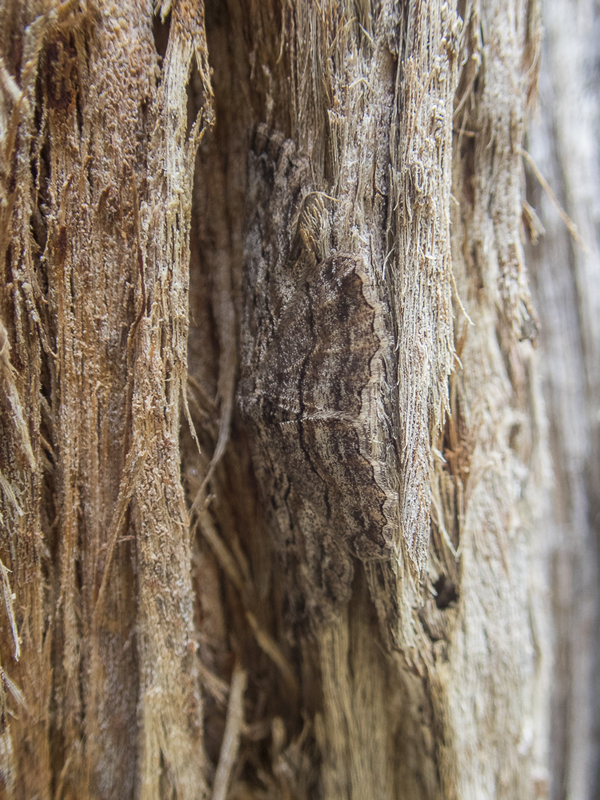 Bark moths belong to the looper group – named for the way the caterpillar forms a loop as it inches its way along a surface.